We play golf! We have fun!! JOIN US!!! LPGA Amateur Golf Association is the largest women’s amateur golf association in the world. Formerly known as the Executive Women’s Golf Association (EWGA), the organization maintains 12,000 members in over 100 local chapters and hosts national competitive amateur events including the LPGA Amateur Golf Association Championship and the LPGA Amateur Golf Association Cup. Established in 1999, the Long Island, NY chapter is the largest in the organization. 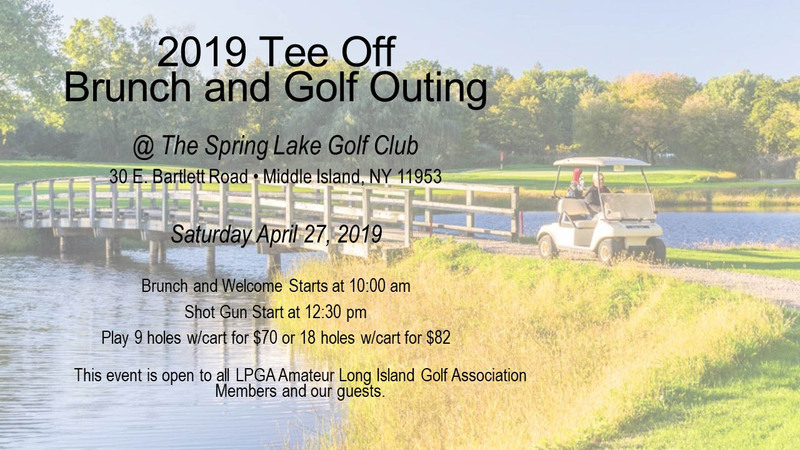 Staffed entirely by volunteers, our chapter offers golf opportunities for players of all abilities with 12 leagues at various venues across Nassau and Suffolk counties. We work with local golf professionals to organize clinics as well as social golf events where the focus is on fun. We also host competitive events, including our Chapter Championship, and offer rules, etiquette, and handicap seminars, and mentoring for new golfers. What is your hobby, what do you want to learn, how can you help? Like to write? Are you a photographer? Do you have computer skills or people skills? Talk to us and we'll find the right volunteer opportunity for you. No job too small! Volunteer opportunities are posted here.